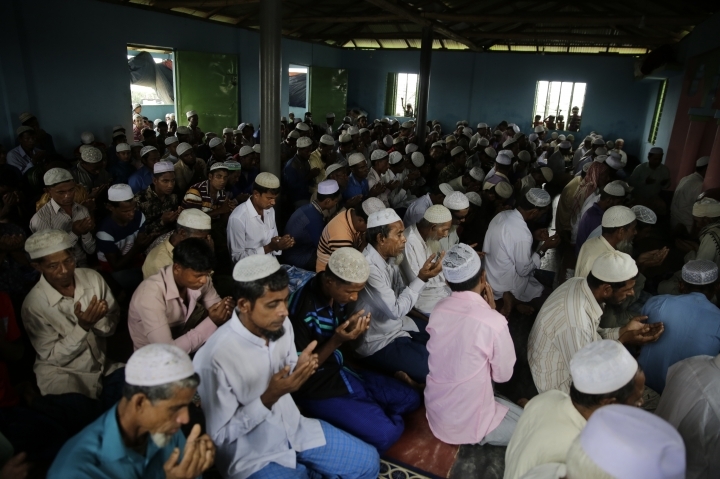 KUTUPALONG, Bangladesh — Hundreds of thousands of Rohingya refugees living in sprawling camps in Bangladesh celebrated the Muslim holiday of Eid al-Adha on Wednesday, praying for better lives and wondering if they'll ever again celebrate at their homes in Myanmar. 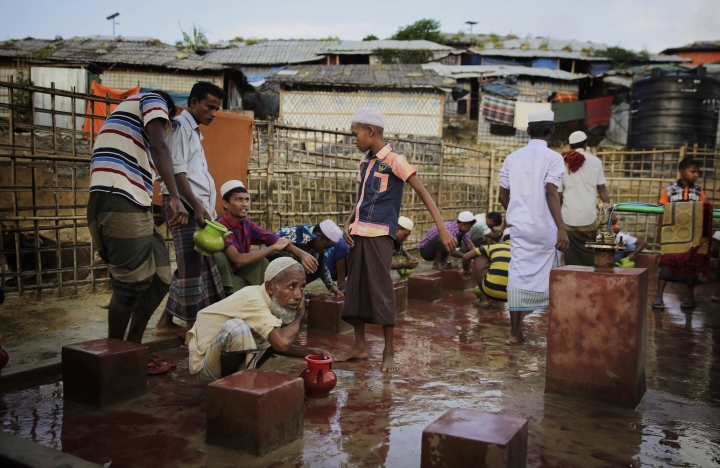 The calls to the faithful came early in the camps and people streamed into the makeshift mosques, the children in freshly washed clothes. 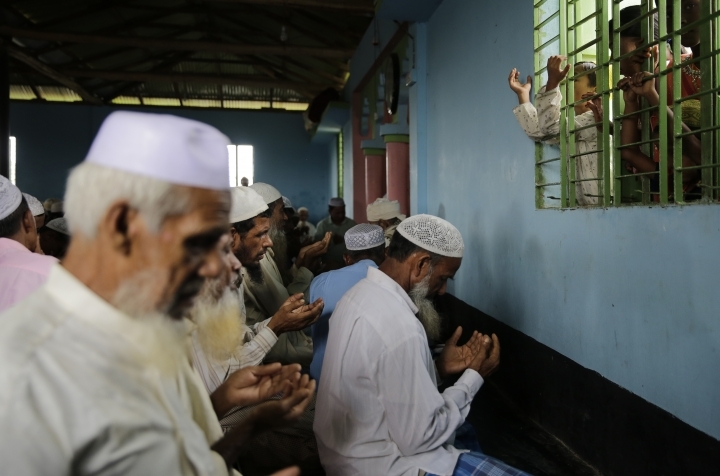 The four-day holiday of Eid al-Adha celebrates the Prophet Ibrahim and his willingness to sacrifice his son. 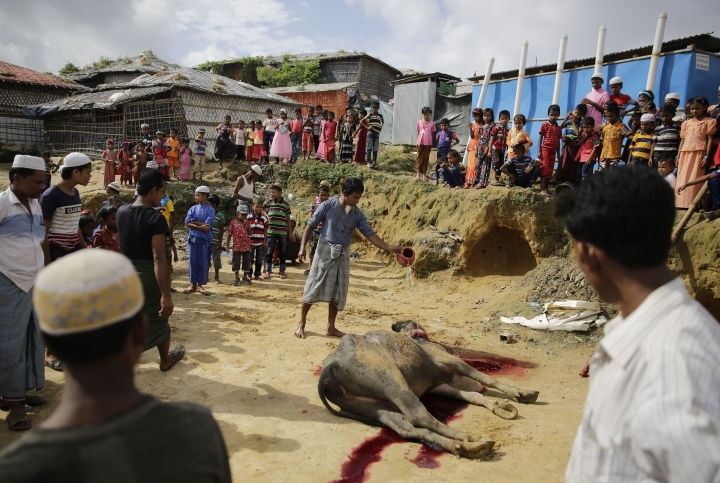 Muslims often slaughter sheep, cattle or goats on the holiday, distributing some meat to the poor. 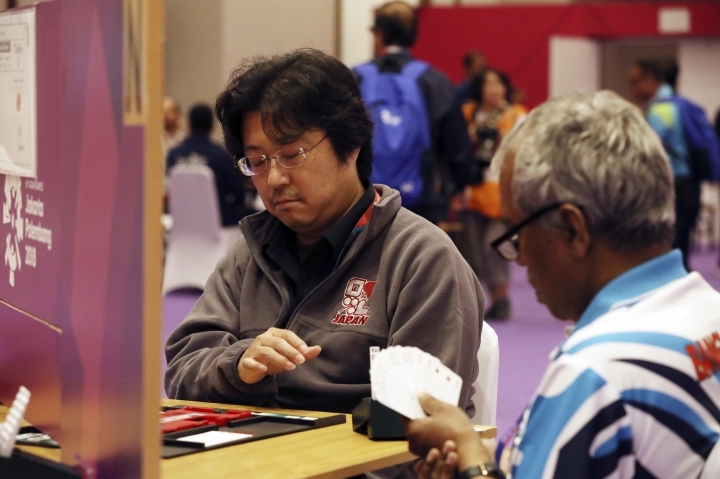 But few in the camps could afford such luxuries this year. 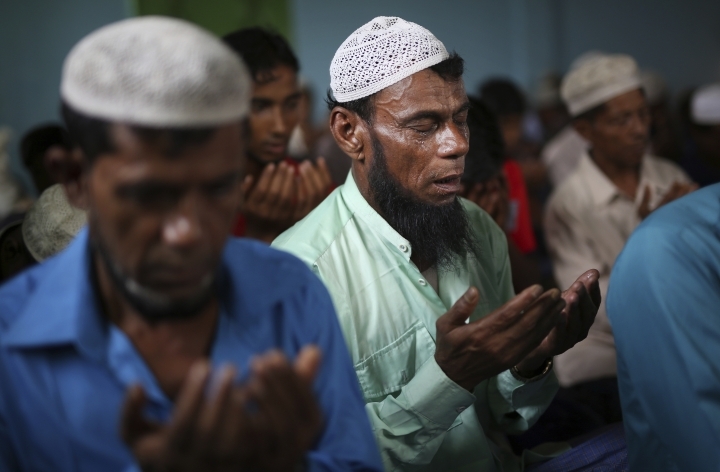 The Muslim Rohingyas have faced generations of discrimination in largely Buddhist Myanmar, denied citizenship rights, attacked in pogroms and sometimes not able to practice their faith openly. 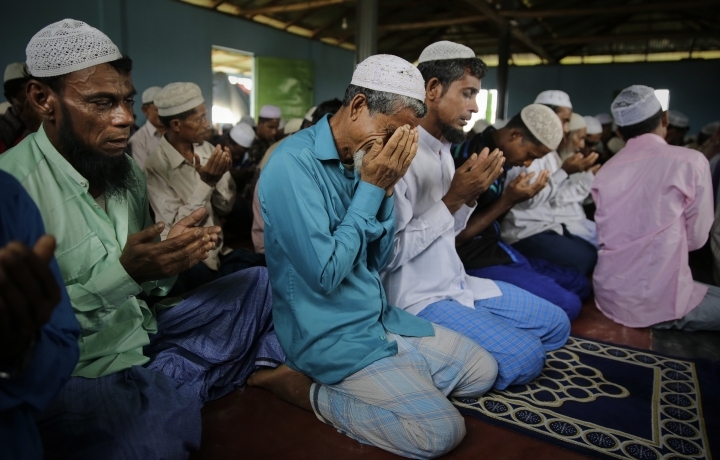 "We could not pray during Eid in my village for years, we had to pray secretly," said refugee Nurul Alam. "I have freedom here, but I don't want it here." "We don't belong here," he continued. "It's good that nobody is coming to kill us, but I want to go back where my parents' graves are located." 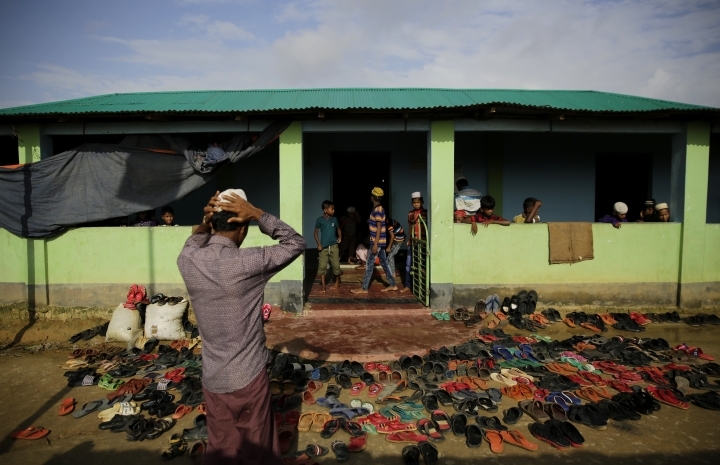 More than 700,000 Rohingya poured into Bangladesh last year fleeing a scorched-earth campaign by the Myanmar military and Buddhist mobs after attacks by a Rohingya insurgent group. 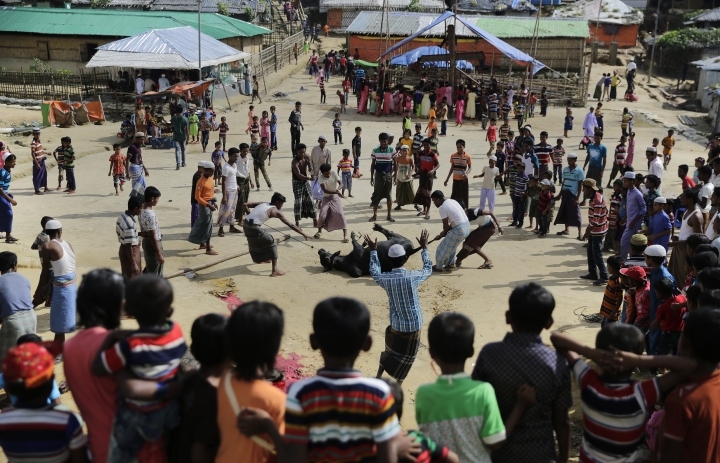 Thousands of people are believed to have been killed in the crackdown, which many rights activists believe was a calculated attempt to drive Rohingya from the country. 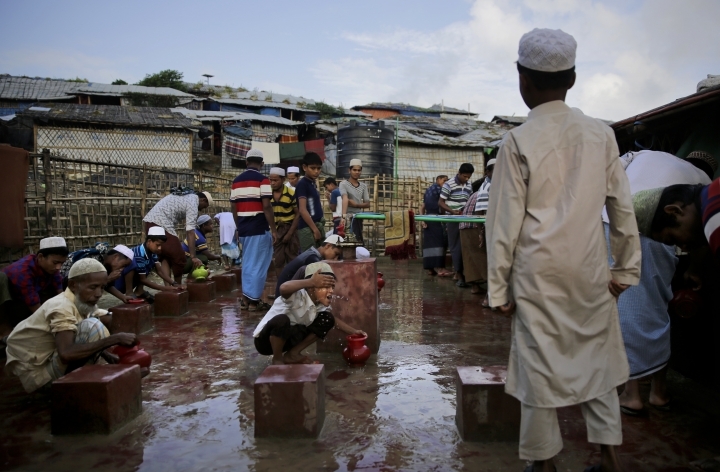 Many in Myanmar see the Rohingya as illegal migrants from Bangladesh, deriding them as "Bengalis." 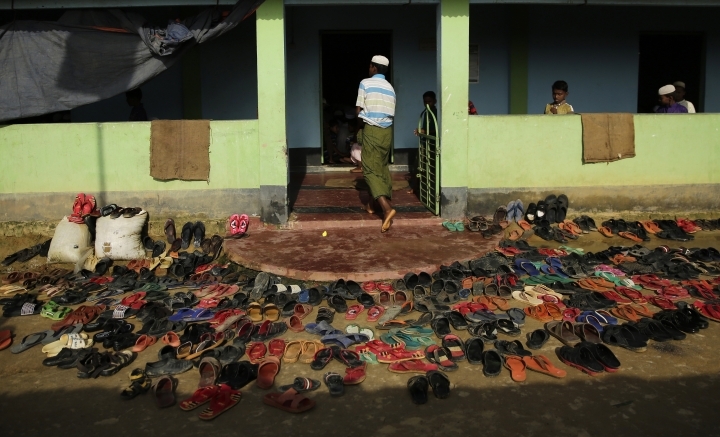 Most have long lived in poverty in Myanmar's Rakhine state, next to Bangladesh. 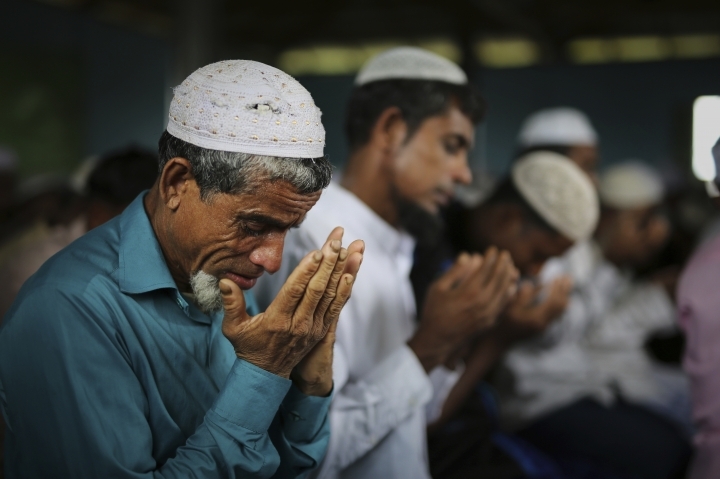 The events of the past year have made for a poignant Eid al-Adha. 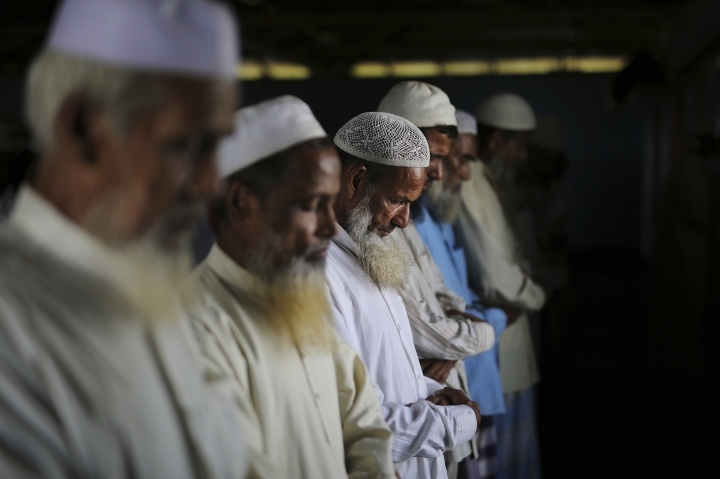 "We are happy, but again we are not happy, said 60-year-old Shamsul Alam as he walked to a mosque for prayers. 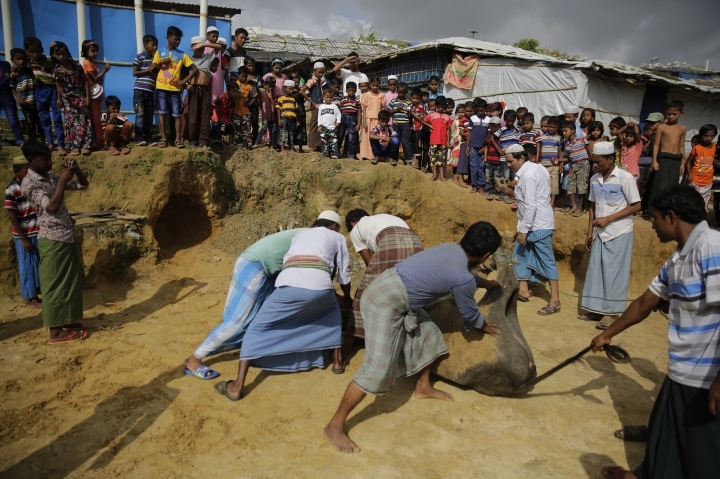 "I had my land, I had a grocery shop there, I had rice, potatoes to eat there. Here I don't have any problem for food, but I don't have what I need." "I am nobody here," he said.